CNBC has renewed the Jay Leno's Garage TV show for a third season. Expect season three to premiere in summer 2017. CNBC says the series explores all things automotive. Leno hosts the show. He also executive produces with Philip D. Segal, Sarah Whalen, and Jeff Bumgarner. Learn more from CNBC, after the jump. Looks like Jay Leno still has some gas in the tank. 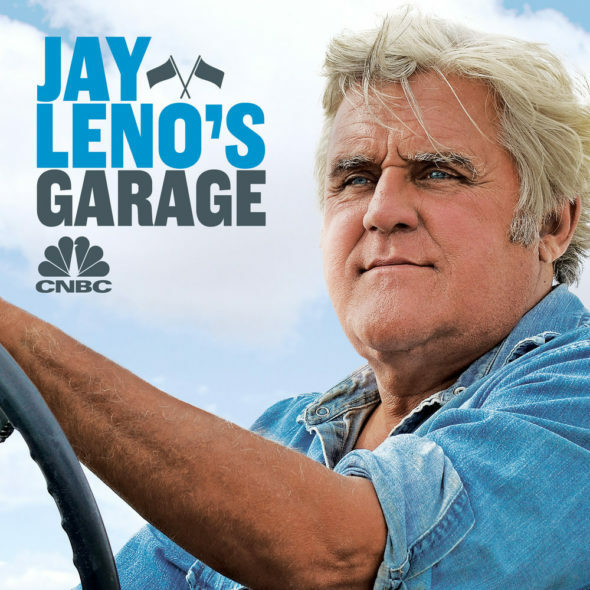 CNBC has renewed the Jay Leno’s Garage TV show for a third season. Expect season three to premiere in summer 2017. CNBC says the series explores all things automotive. Leno hosts the show. He also executive produces with Philip D. Segal, Sarah Whalen, and Jeff Bumgarner. Learn more from CNBC, after the jump. Produced by Original Productions, a FremantleMedia Company, and Kitten Kaboodle, with Jay Leno, Philip D. Segal, Sarah Whalen, and Jeff Bumgarner as executive producers. Abby Schwarzwalder serves as co-executive producer for the series. Jim Ackerman and Adam Barry are the executive producers for CNBC. “Jay Leno’s Garage,” hosted by legendary comedian and “Tonight Show” host Jay Leno, returns for season three. Jay Leno explores our obsession with all things automotive. From classic cars to supercars and everything in-between, Jay’s hitting the road to discover the most exciting, weird and wonderful vehicles ever made and meet the passionate people behind their wheels. Each one- hour themed episode features a mix of stunts, challenges, reviews, and celebrity interviews that showcases the colorful history of the automobile. Whether he’s exploring the history of an iconic brand, road-testing the newest super car, or investigating the latest automotive innovations, there’s no wheel Jay won’t get behind to tell the story of our love affair with the car. What do you think? Are you a fan of the Jay Leno’s Garage TV show? Do you plan to watch the third season on CNBC? Let us know, below. More about: CNBC TV shows: canceled or renewed?, Jay Leno's Garage, Jay Leno's Garage: canceled or renewed? Jay Leno’s garage is wonderfully refreshing. I set the DVR and watch it almost nightly – to unwind after work. My dogs, Milestone and Spirytt love it too – and always come into the room to watch it with me. I also love the recurring cast, especially Donald Osborne. Very entertaining to this car-girl. 😉 Excellent job, producers! We love Jay Leno’s Garage. Keep the new episodes coming.